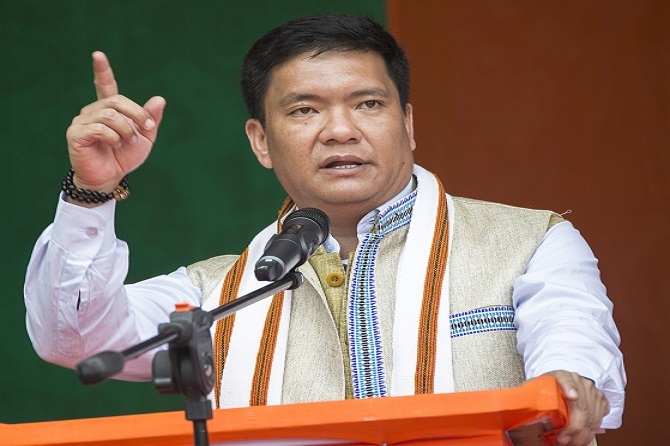 Arunachal Pradesh has urged the Election Commission of India (ECI) to provide 60 companies of Central Armed Police Force (CAPF) for the upcoming Lok Sabha and Assembly polls in the state. During a recent video conference with the Chief Election Commissioner (CEC) of India, Sunil Arora, State Chief Secretary Satya Gopal stressed on strengthening scrutiny along the Indo-Myanmar border and neighbouring Assam to keep a check on unwanted activities and infiltration, according to a report. Gopal also informed Arora that sensitive constituencies have been identified and proper measures would be carried out soon. “Foot march to far-flung polling stations, communication bottlenecks, and Assam-Myanmar border are specific and major challenges for free and fair elections in the State,” the chief secretary said. Arora sought a report on the preparation taken for the elections. Gopal said that transfer posting of officers and officials as per ECI directive in administrative and police departments was taken into account. The chief secretary also said that a proper budget has been prepared for smooth conduction of elections without any hassles. He also informed the CEC that proposal to IAS, IPS, IFS officers and nodal officers under various categories as election observers has also been sent to ECI. The CEC and Election Commissioner Ashok Lavasa also held a meeting through video conferencing with all chief secretaries, DGPs, and CEOs of eastern States and sought status reports on the ongoing election preparations.